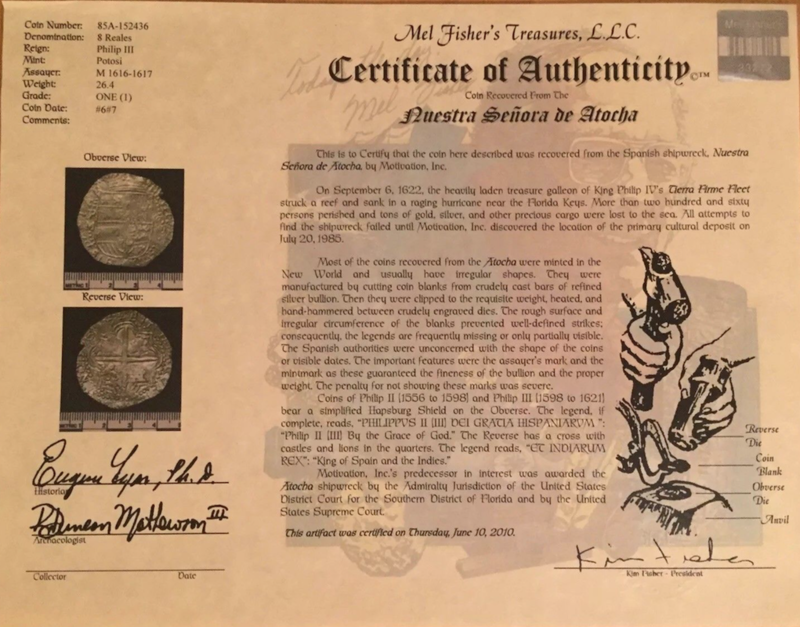 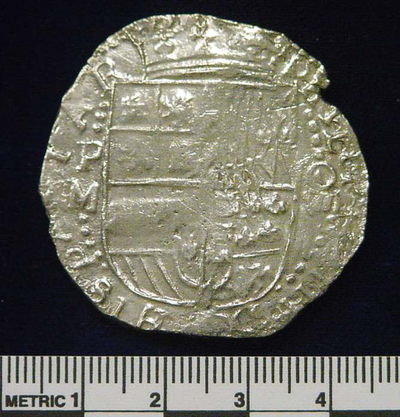 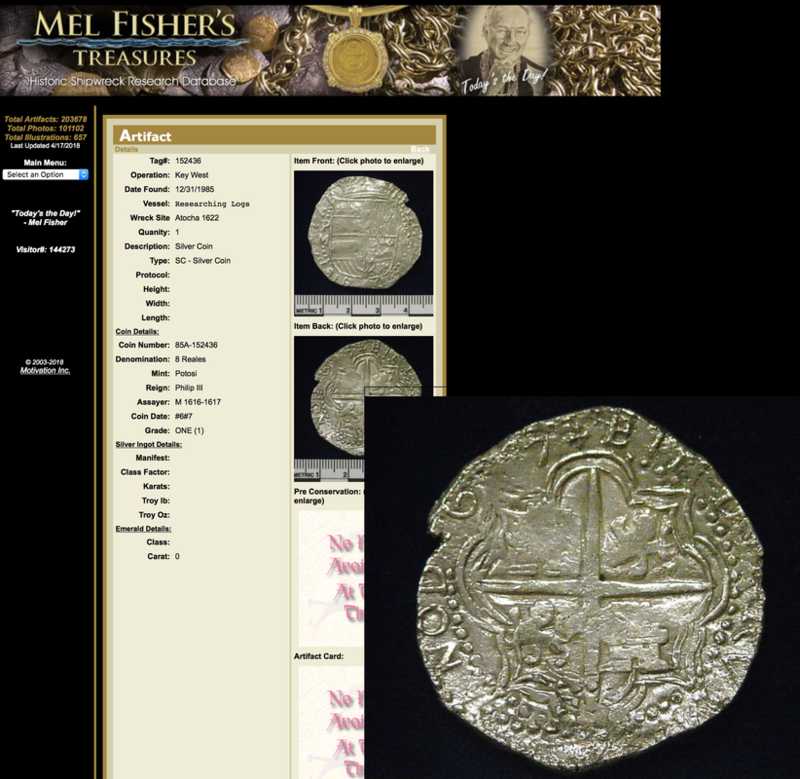 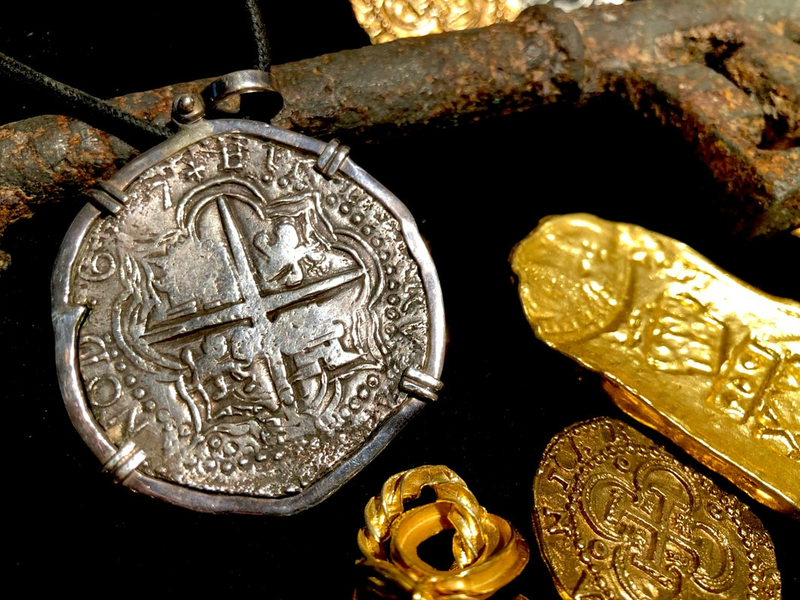 ATOCHA MEL FISHER 1617 8 REALES GRADE 1 PENDANT ~ SHIPWRECK PIRATE TREASURE SILVER COIN Struck in POTOSI in 1617 (GRADE 1) and discovered by MEL FISHER in 1985 (with Mel Fisher COA) and Recorded as well in the Fisher’s Treasure DATABASE (Tag #152436), Coin #85A-152436 GRADE 1 (see attached Database with PHOTOS)! 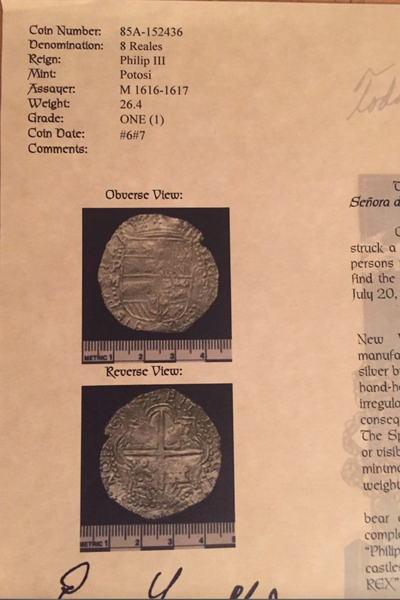 VERY RARE to find DATED, especially since this was the FIRST YEAR POTOSI DATED COINS/COBS!!! Assayer is Munoz (Clearly visible to left of Shield PM ~ Potosi Munoz). 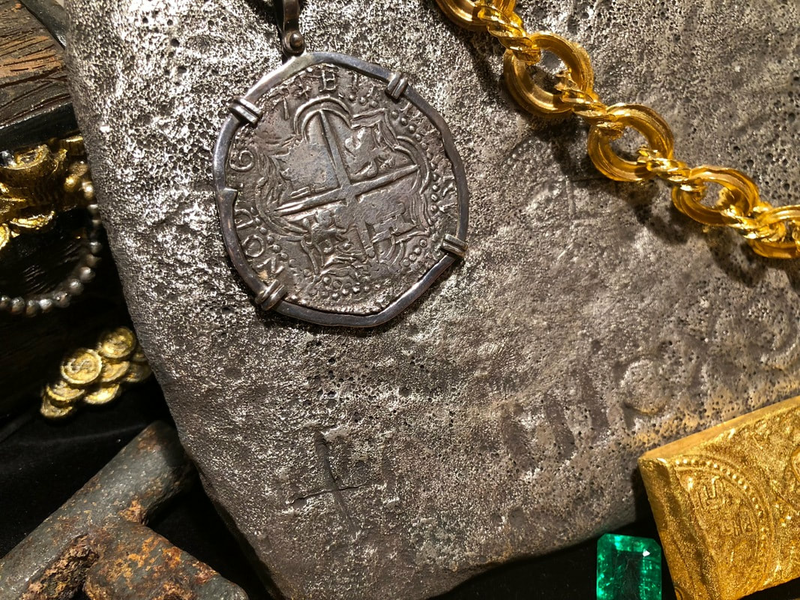 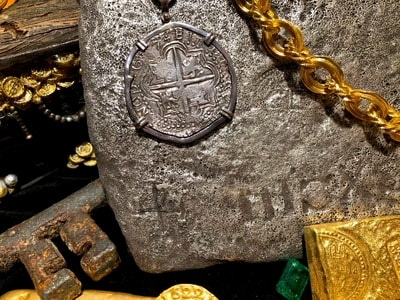 Weighs 26.4gm Philip III This Pendant is a piece of Shipwreck History that you can enjoy and wear around your neck everyday!